Cowgirls and Lace has a full service window covering department, located in Dripping Springs, Texas. We have an extensive product offering, ranging from custom blinds, plantation shutters, shades, draperies, outdoor shading systems and much, much more. Cowgirls and Lace is a locally owned and operated business that has been serving the Hill Country since 1993. 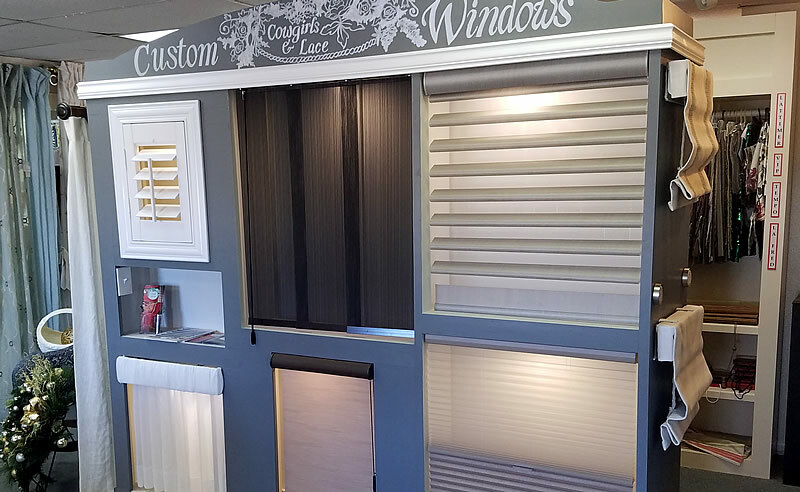 See our window treatment display room. 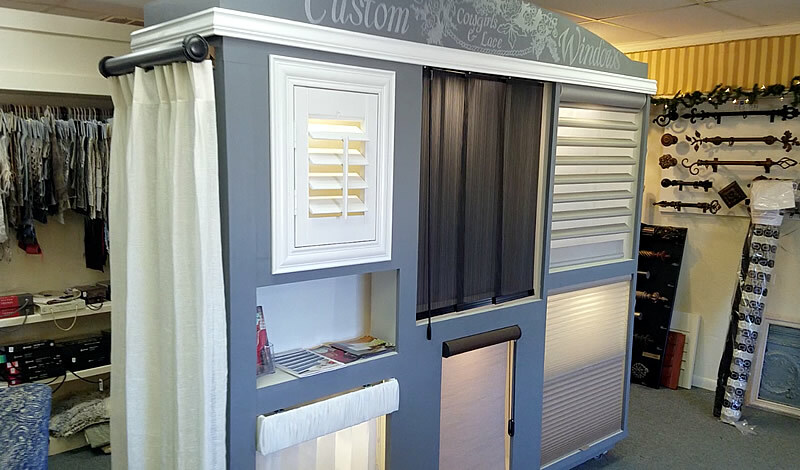 We showcase many of our products displayed in simulated windows to give you the full effect of various window treatments. You can also experience the various types of lifting systems available for window coverings. So whether you’re interested in motorized shades, cordless shades, or retractable corded shades, we have it all and invite you to explore your options. We encourage you to visit our custom window display at Cowgirls and Lace located in the Trailhead Market in Dripping Springs, TX. When you are selecting or designing for window treatments in a room, your first thought should be about the “application” of the treatments or rather how will they be used. After that comes the emotional appeal as in do you like how they look. Our home design consultants will help you select the perfect and/or customized treatments for your next room project. Meeting your functional and visual requirements as well as your budget is what we do. 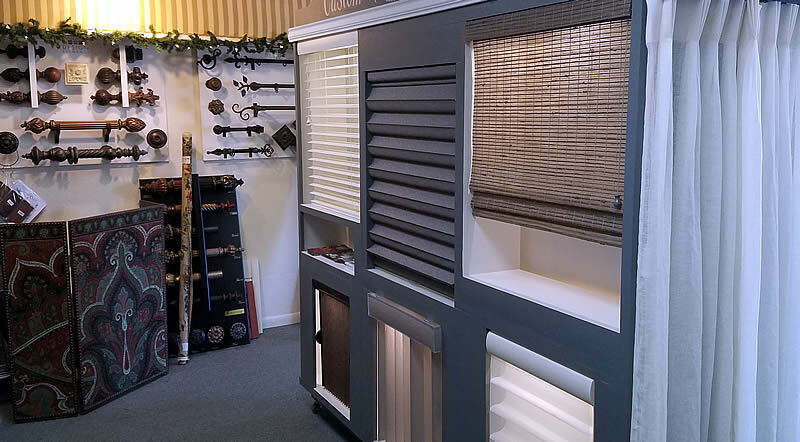 Cowgirls & Lace has all options, choices, and even custom made blinds and shutters. You can see, feel, and test all types of shades, blinds, shutters, motorized, and curtains to fit any room size or type. Can We Help With Your Window Treatment Project? We have a Certified Hunter Douglas Consultant on staff who can answer all of your questions and also make a complimentary appointment for an in-house consultation. Comments, Questions, or Details about your Window Treatment Project? Maybe mention color, timeframe, budget, or what room in the house.